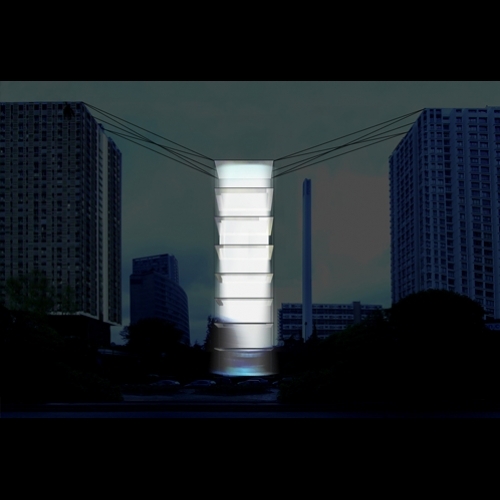 In order for this installation to blend in between a concentration of vertical buildings, I imagined a vertical tower of light that would rise from the ground as if it were slicing the air open. Weigh less, it appeared and disappeared depending on the time. Embraced inside metallic rings, the powerfully lit tower of light was reflected at the top by a mirror that cast light downwards as it if were a solid yet intangible flow.